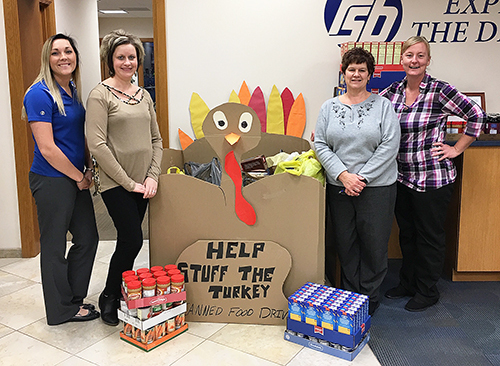 The First State Bank of Campbell Hill, along with branch locations met the goal for 2018 of collecting 2000 canned & non-perishable food items collected during the 5th Annual “Stuff the Turkey” Food Drive by collecting 2000 items during the month of November. 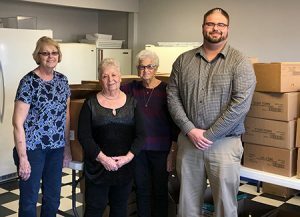 First State Bank of Campbell Hill made a matching donation making a grand total of 4000 items donated to the local food pantries located in Ava, Steeleville, Coulterville, and Cutler. Items were collected at each location in their custom made “Turkey’s” by asking customers & employees to make a contribution. 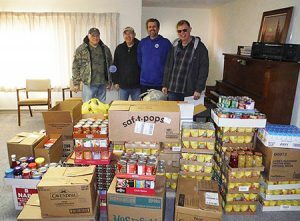 Since the start of the food drive four years ago, First State Bank of Campbell Hill along with branch locations have been able to donate 21,000 items to the local food pantries in the area. © First State Bank of Campbell Hill. All Rights Reserved.